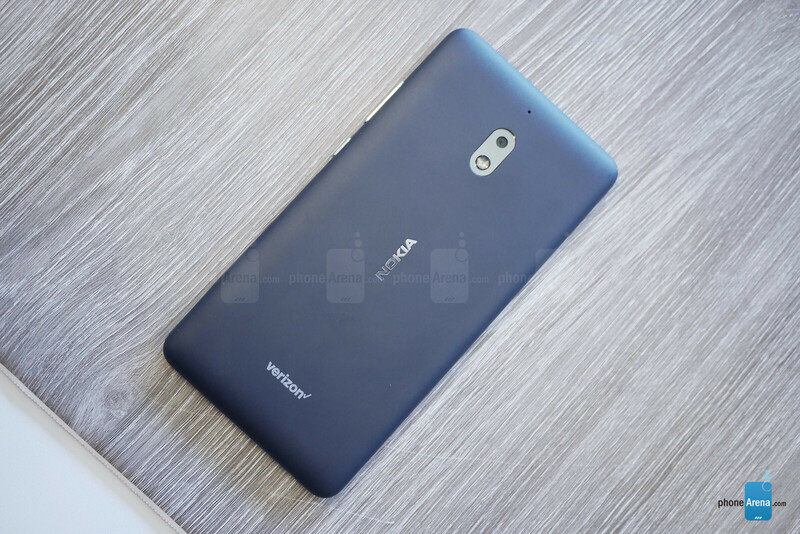 Nokia 3.1 Plus and 2V hands-on: they're on carriers! These lower-mid-range, or “value,” offerings are carrier-exclusive devices made to get the most out of the networks they’re on, and the relatively few dollars shelled out for them. Nokia’s first and foremost selling point is its design and construction. Between Cricket’s 3.1 Plus and Verizon's Nokia 2V, the two show similar design elements to we’ve seen with other, lower-end Nokia phones, but each phone was constructed pretty much from the ground up. The 3.1 Plus has an all-plastic body, which harkens back to the days of the now defunct Lumia phone lineup. In more recent years, even the lower-end Nokia devices would at least have the volume buttons, or the edges themselves made out of metal to create a nice two-tone accent. 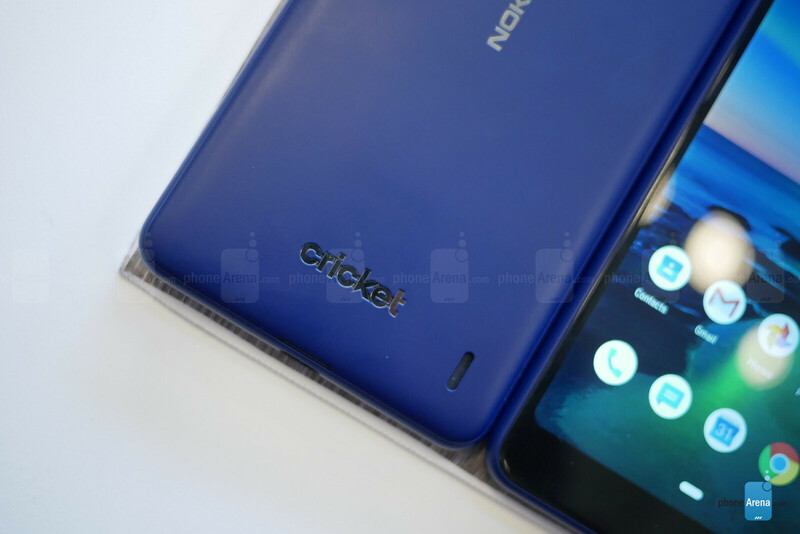 The phone still feels solid, and well-made, but this bit of flare won’t be found on Cricket’s navy blue, budget Nokia offering. The 5.99-inch, HD+, IPS display seems to do its job well enough, supporting your movements through the Android 9 Pie OS, and helping to keep battery efficiency high. This is, of course, in tandem with the power-conservative, 12 nanometer Qualcomm Snapdragon 439 and 2 GB RAM on-board. 32 GB’s of storage accompany this, along with the option to add another 256 GB vis MicroSD card. Nokia’s also paired a 13 and 5 MP camera together for shooting live, depth-of-field photos with plenty of adjustable bokeh. In front you’ll find an 8 MP front-facer tucked into the façade. 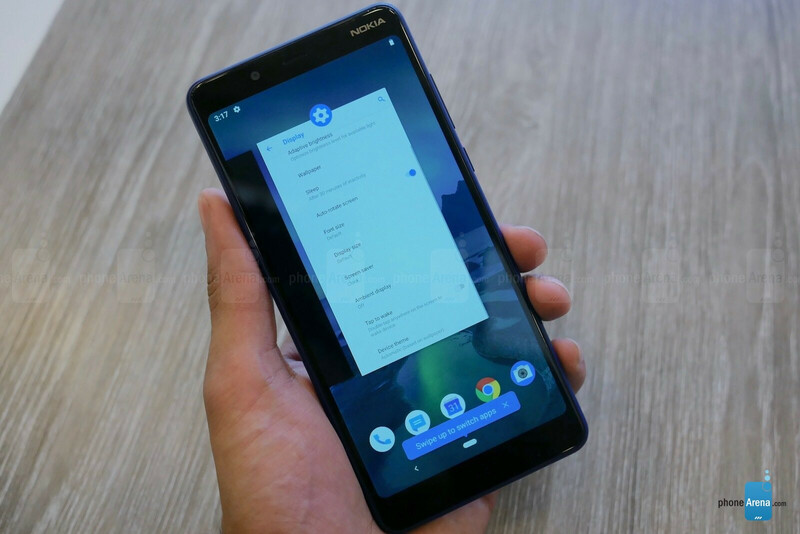 Android One isn’t present on this carrier device, but Nokia’s already well-known for its minimalistic take on the Android OS. Furthermore, Cricket and Nokia have both assured us that updates will be passed along as quickly as possible, meeting the Finnish company’s standing promise to keep its phones safe and always-up-to-date with speedy security updates, and similarly fast OS updates. Handsets of this price are never meant to be the fastest, but Nokia hopes the 3.1 will be one of the longest lasting. The company is pretty confident in touting that the 3.1 Plus is capable of two-day battery life on its 3,500 mAh battery. All components of this phone seem to point to a juice-sipping device, so consumers will be more than pleased if this translates well to real-world use. Verizon’s Nokia device, although from a slightly lower tier, looks a bit more like the Nokia’s we’re used to seeing HMD churn out, compared to the 3.1 Plus. This is mostly thanks to the metal accents around the edges, and surrounding the camera, combined with the matte plastic back. In front you’ll find a 5.5-inch HD screen with dual speakers towards the top and bottom. In back there’s a single 8 MP shooter, and a 5 MP up front, which isn’t bad for this price point. Inside, the Nokia 2V pushes the envelope on the meaning of “utilitarian” with its meager 1 GB RAM and 8 GB storage. It is, of course, expandable via MicroSD card – up to 128 GB’s in this case. 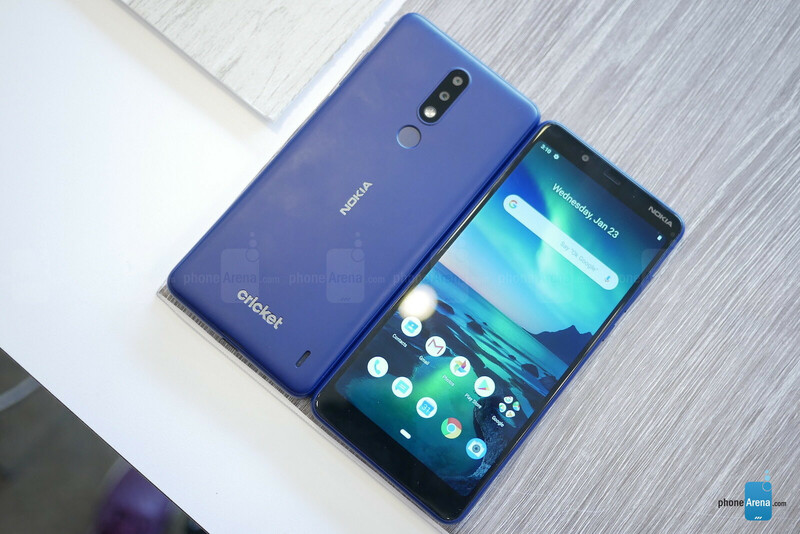 Together with the accompanying Snapdragon 425 SoC, the Nokia 2 should provide enough functionality to facilitate more lightweight, basic tasks on the Android Go 8.1 Oreo platform. 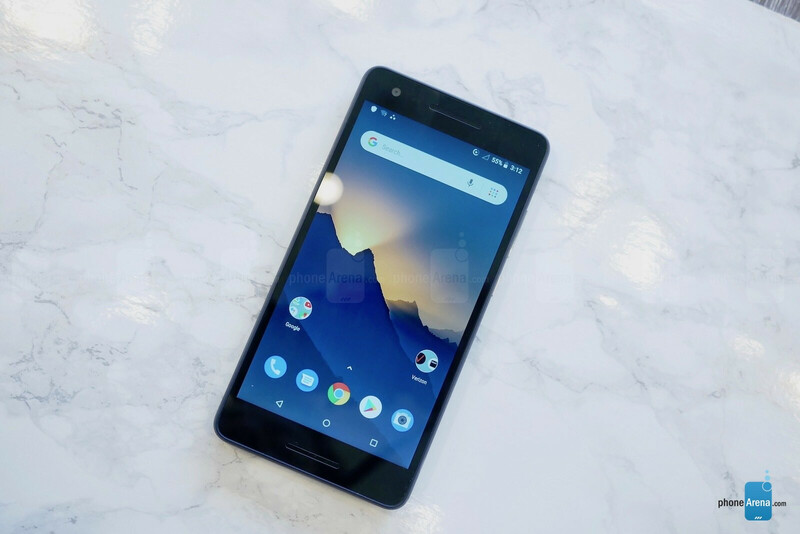 HMD says the 2V will receive the Android 9 Pie update in the second quarter of 2019. The Nokia 2V actually has a bigger battery than the larger 3.1 Plus, flaunting a 4,000 mAh juice pack tucked away inside. Still, HMD says the 2V should last around the same amount of time – two days. While we predictably have to settle for a micro-USB connection, at least it’s capable of fast-charging at 10 watts. HMD is taking a smart, conservative step into the complex and ever-changing U.S. mobile carrier market. Building two devices tailored to the needs of each respective network, market, and price-point seems a great first step. If this pair of devices can deliver on HMD’s promises of quality, reliability, and trust, on two major prepaid U.S. carriers, then we have little doubt that loyal fans, and even some newcomers will follow them on to their next big move. A smart, small step, and a good one, to HMD brining their Nokia branded smartphones to more places in the U.S. Can’t wait to see more. The 3.1 on T-Mobile for $170 would fly off the shelves. I'm surprised that they didn't just release an unlocked model and sell it on T-Mobile and Cricket. It's not like they're making a model for all carriers like the Moto X4. It's just for the GSM carriers. Nokia baffles me with their decisions sometimes. There is an unlocked model available online. Some carriers demand specific variants be made for them. This is evident here with the Cricket version of the Nokia 3.1 Plus not being Android One, while the unlocked one is. Verizon is also notorious for wanting models specific for them. Nothing baffling about it. I'm not really sold on breaking into the US market with foodstamp phones. Maybe if they offered a more higher end device to go along with the two of these devices would have been a better idea imo. There is no way anyone can logically say this isn’t the best way for HMD to go about hooking back up with U.S. carriers. Starting out with less resources put in and building up from there is business 101. The majority of people that purchase smartphones from carriers isn’t going to jump to a brand that has just come back to carriers after so many years. This is the smartest and most logical way to go about it.